These delicious and moist Paleo Sweet Potato Muffins are a great make-ahead and take-along breakfast. They are made with coconut flour, therefore gluten free and grain free! I first developed this recipe for gluten free sweet potato muffins while my husband was on a grain free diet. Breakfast was the hardest meal to adjust to for him. He was so used to being able to grab a quick slice of bread with his favorite peanut butter & honey topping before heading out the door to work. 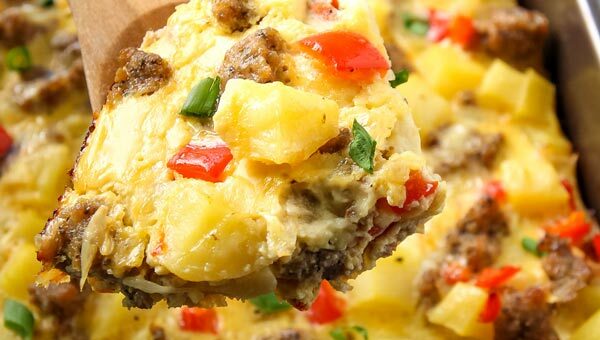 So we needed a quick and easy breakfast item that also was grain-free. We’ve always enjoyed coconut flour muffins since I first made this pumpkin version. For Christmas I even made them into paleo gingerbread muffins. So for his grab & go grain free breakfast I turned them into Coconut Flour Sweet Potato Muffins. 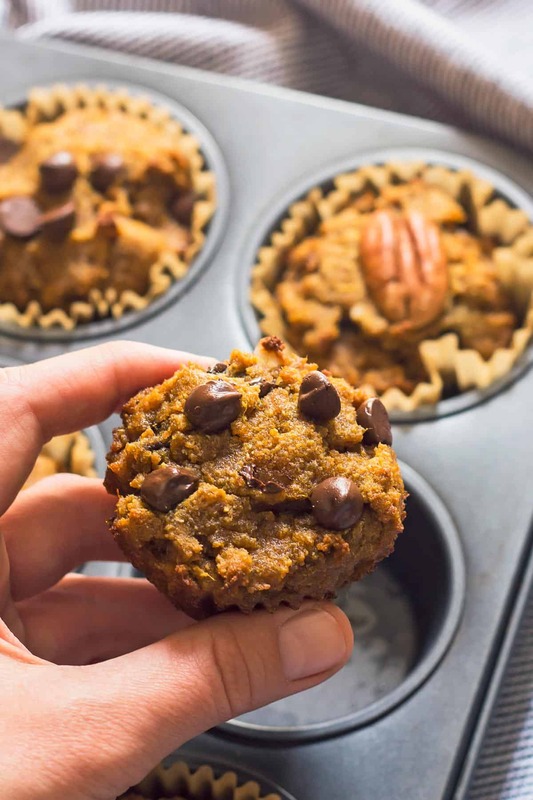 Did you know that sweet potatoes are a great source of beta-carotene (especially if consumed with fat, like the healthy coconut oil in these muffins), antioxidants and anti-inflammatory nutrients? I think knowing a bit about the benefits of sweet potatoes made me feel better about resorting to a muffin recipe as my husband’s go-to breakfast. He isn’t on that grain free diet anymore, and we are not a gluten free family, but we really enjoy our coconut flour muffins. I often make them for get togethers and even my daughter’s playdates to offer as a healthier dessert option. Use silicone or parchment paper muffins cups, otherwise the coconut flour sweet potato muffins stick too much to the pan. They also stick too much to paper liners. Adding the dry to the wet ingredients makes for much easier mixing. You’ll avoid any hidden pockets of flour at the bottom. Alternatively, you could even whip up the batter in a blender. In that case add the wet ingredients at the bottom and the dry ones on top. Often I use tapioca starch or arrowroot powder in my coconut flour recipes. It makes for a lighter, softer texture, but is not essential to the success of these flourless sweet potato muffins. 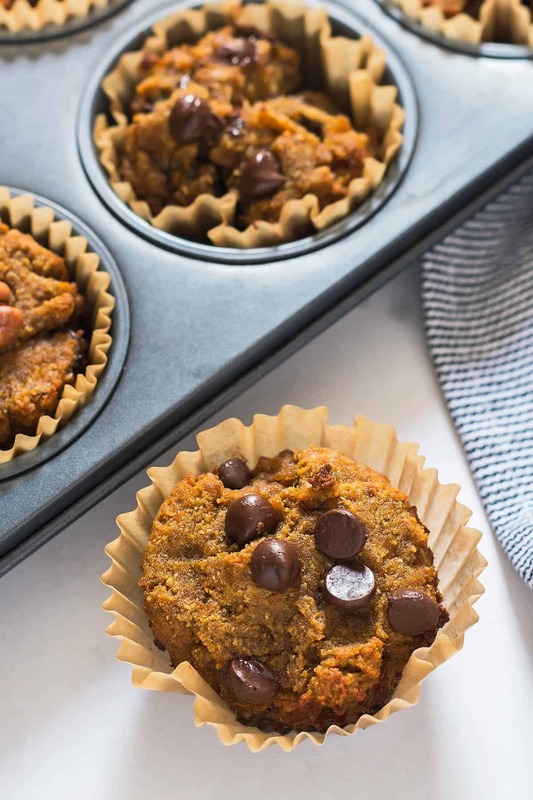 Occasionally, the batter for these grain free sweet potato muffins seems a little too dry – depending on the kind of sweet potato puree used. In that case you can add a few tablespoons (2-4) of coconut or almond milk to thin out the batter. Choose add-ins and toppings to your heart’s desire. 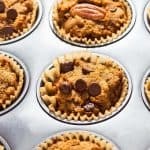 I am partial to the pecan-sweet potato combo and chocolate chips are always a great idea for muffins. I usually make my own sweet potato puree but you can also make canned sweet potato muffins. Just be sure to use pure sweet potato puree and not the kind sweet potatoes canned in syrup. Can you freeze sweet potato muffins? Yes, absolutely! I have had great success freezing all of my coconut flour muffins. Just be sure to pack them up airtight and they should be good a few months at least. Ours have never lasted more than a few weeks though before someone got a craving. 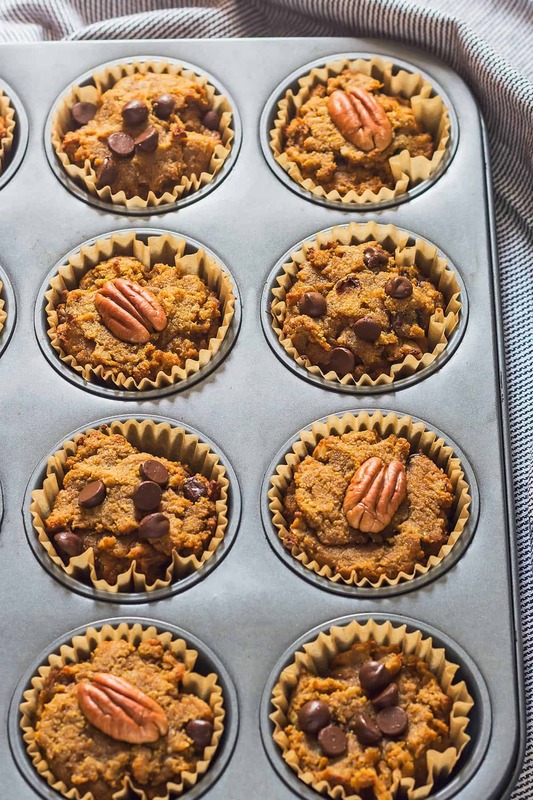 Otherwise, these healthy sweet potato muffins will keep for about a week in the fridge. I don’t recommend keeping them at room temperature for more than 1 day. Can this recipe be turned into sweet potato bread? I haven’t tried this yet, but I think it should work just fine. Especially, if you use the optional tapioca/arrowroot in the batter. 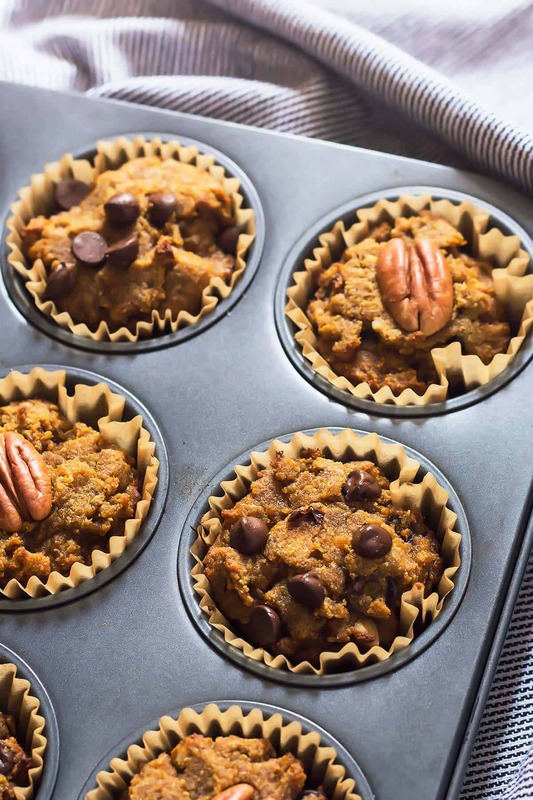 Can you turn this recipe into low carb sweet potato muffins? 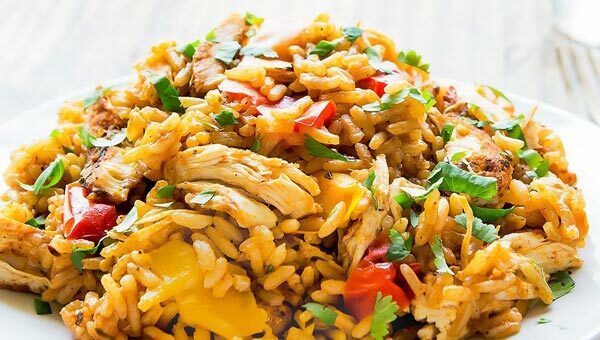 Sweet potatoes aren’t exactly a low carb vegetable but there are ways to reduce the carbs in this recipe. Don’t use the optional starch and either omit the maple syrup or use a sugar-free sweetener like monk fruit syrup as substitute. Parchment or silicone muffins liners are key to be able to remove the muffins from the pan. Too much muffin gets stuck on paper liners and you lose out on a whole lot of goodness. Enjoy Life makes great dairy free dark chocolate chips. You can also try sugar-free, stevia sweetened Lily’s brand. 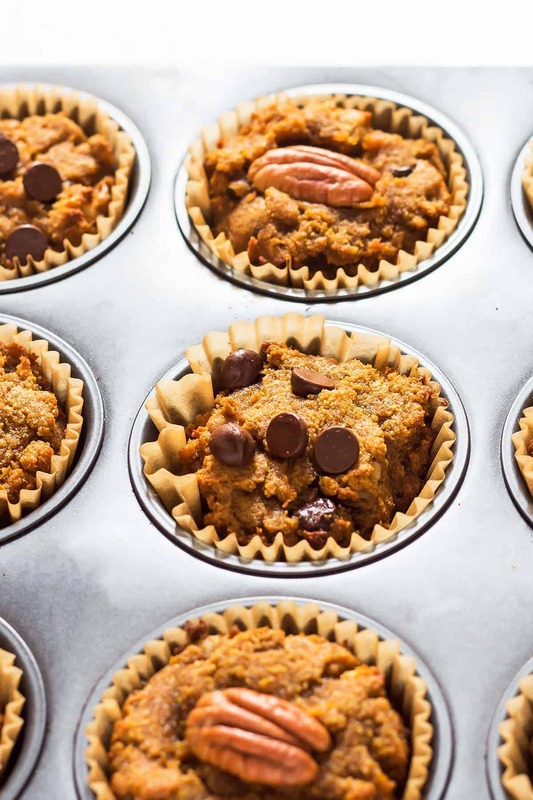 These moist Paleo Sweet Potato Muffins are a great make-ahead and take-along breakfast. They are made with coconut flour and are gluten and grain free! Preheat the oven to 400 F. Grease or line a muffin pan. In a medium bowl whisk together coconut flour, baking powder and soda and spices. In a large bowl beat together eggs, sweet potato puree, vanilla extract, coconut oil and maple syrup until smooth. Add the flour mix to the wet mixture and stir until all lumps are gone. Fold in pecan or walnut pieces. Divide batter into 12 muffin cavities and top each with a nut half. Bake for 20 - 25 minutes until a toothpick inserted in the center comes out clean. I use a little spatula to help loosen the muffins out of the pan. ***Sugar-free monk fruit syrup can be substituted. I am very confused baking powder has corn starch in it. That is not paleo from what I understand. I have studied paleo for awhile. Am I missing something? Thank you! I am fixing to try this right now! I am using cream of tarter. I am whole30 with most of my foods with occasional paleo. I am tempted to try to use Medjool Dates as sweetener. Instead of maple syrup. I just need to figure out how. Thank you so much for your share! So this is my last comment. I used the dates. Cut the seeds out boiled them in just a little water. Puréed them in blender. And it added the perfect amount of sweet. I will use maple syrup when I go from whole 30 to paleo. Biggest issue I have is not eating them all! There is potato based baking powder available. I use Hain. These muffins were absolutely delicious! I’ve made them twice now. They are so moist and flavourful. I increased the pumpkin spice a bit the second time just because I prefer it that way, but either way it was lovely and so easy to make! Thanks! I just found this as I was looking for a sweet potato muffin recipe. I made these and added chia seeds and shredded coconut. Yummy!!!!! Thank you so much. Just made these! They are super delicious! I won’t lie. I used chocolate chips in them… they are going to make a wonderful breakfast for me the my hubby. Thanks for the great recipe! Thanks for the great feedback. I don’t believe I have made them with chocolate chips before but I can image how good that would taste! I just found your site and tried these sweet potato muffins first thing. My husband and I are both diet-controlled diabetics (no meds to control it) and I’m always looking for treats that won’t spike our glucose numbers. These not only don’t spike us, we both love them! 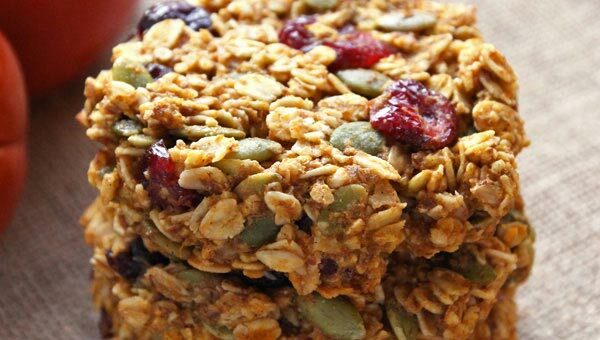 Since we’re pretty much grain-free, these are perfect. With a slice of bacon and an egg, they’re the perfect toast substitute for breakfast. Thanks so much! Thanks for the comment. My nutritionist says they are high carb but that the high fiber content slows absorption. I wondered if it could be true and I didn’t have a way to test it. What is the nutritional content of 1 muffin? I am trying to incorporate gluten free in my diet, prefer homemade to store bought. 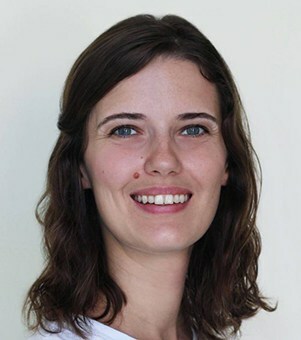 Hi Anne, I totally agree with you. There are not many store bought gluten-free products that I trust. I don’t count calories etc. 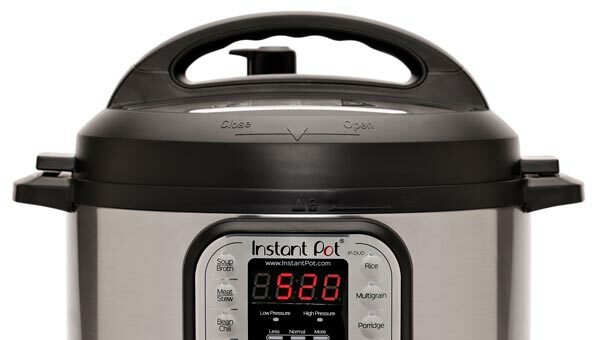 but you could easily plug the ingredients into a nutrition calculator like http://www.myfitnesspal.com/recipe/calculator if you need them for yourself. I calculated it. If you split it in 12 parts (muffins) it would be 174 calories each and macros f12.4 c15 p3 Good luck! I still havent done it, but I like to calculate macros before. I have made this recipe several times now, and every time a gooder. I don’t have pumpkin pie spice, so I added and extra tsp cinnamon, some clove and ginger. I also have taken to adding chia seeds instead of nuts. I find it is a wee bit less crumbly this way. This is easily my fave muffin recipe – I even add coconut whip cream and call them ‘cupcakes’ for my kids. Super versatile, moist and everytime delicous. 5 stars from all my family (even the picky ones). Love sweet potato muffins – anything with sweet potato as a matter. Good luck to you, Konrad! Absolute sweet potato lover here too! Just a quick question for Konrad, have you been going without ‘bread’ as in, all white/processed foods LIKE bread? Or JUST bread … and if JUST bread, why. My main goal was to eliminate yeast based on the the recommendation of a friend. If it had yeast, I would eliminate it. Bread was one of the few things I eat that had yeast. On the other hand, I don’t really eat much processed food (if any) anyway. Most of what I eat is either fresh (fruit, vegetables, etc) or home cooked. Either way, for this week I am stepping it up and am eliminating all possible grain. Thinking it should do me good.